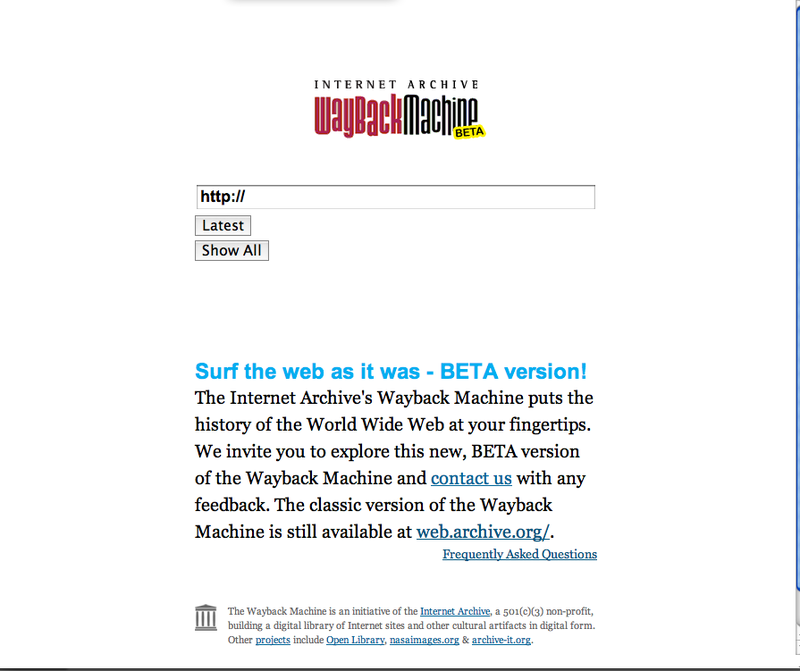 The Internet Archive has launched a beta version of a new search interface and results display scheme for the Wayback Machine. The Wayback Machine beta version's Latest button shows only the most recent version of the searched-for URL from the Internet Archive's collection. The Show All button is the same as the classic Wayback Machine's Take Me Back button. The two most noticeable differences are the way the pages (and their harvesting dates) are represented with a timeline and calendar, and the addition of a toolbar at the top of pages displayed from the collection. 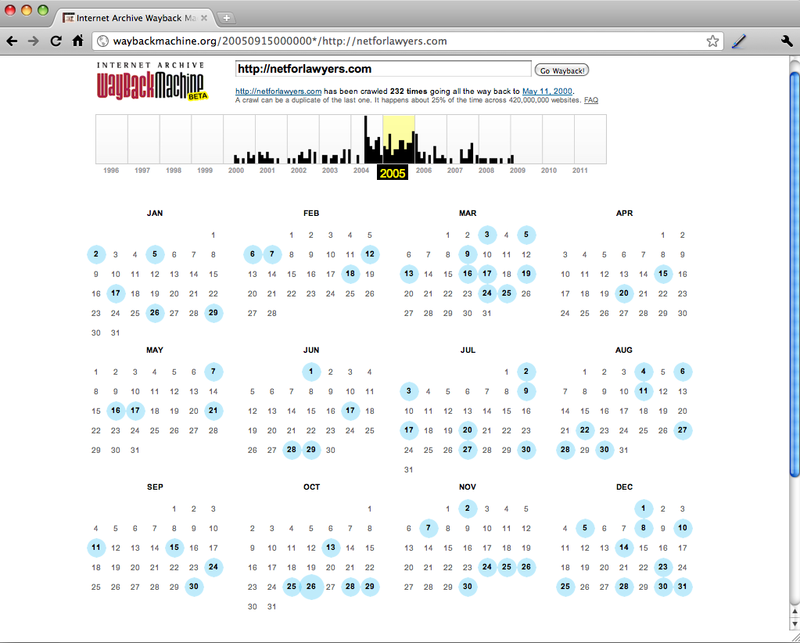 Results of a URL search in the Wayback Machine's collection of archival Web pages now shows the harvesting dates of the pages distributed on a calendar. The new toolbar at the top of the pages displayed from the Wayback Machine makes it easier to quickly see the date on which that particular page was collected. According to the site's Frequently Asked Questions, the beta is also built to be faster than the "classic" Wayback Machine search. 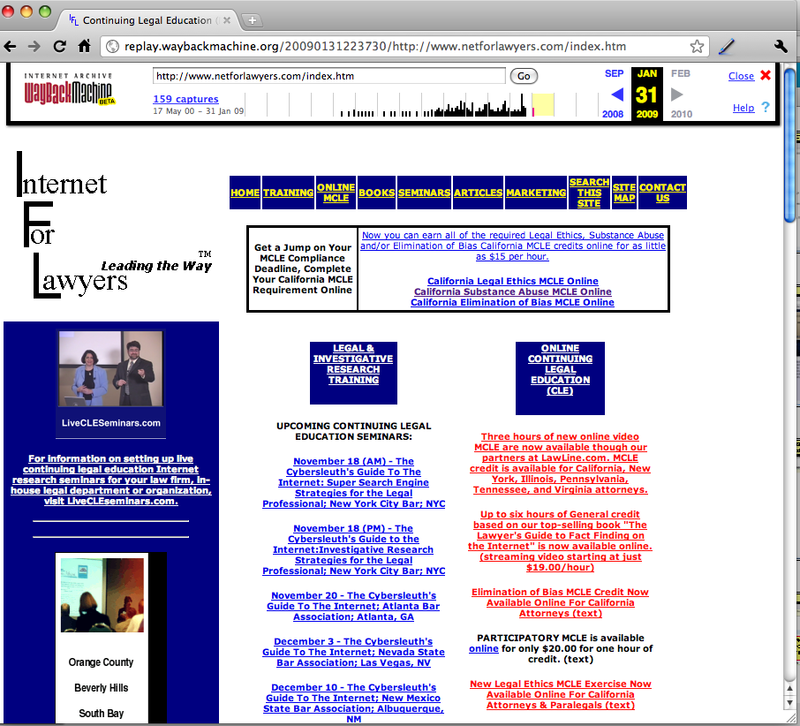 The Internet Archive's Wayback Machine is a historical collection of Web pages (as they appeared at specific points in time). The Wayback Machine's collection dates back to 1996 (although not all sites in the collection are represented back that far). The public search interface was launched in 2001 with a collection of 10 billion pages. According to the Internet Archive, the Wayback Machine's collection now includes 150 billion pages.